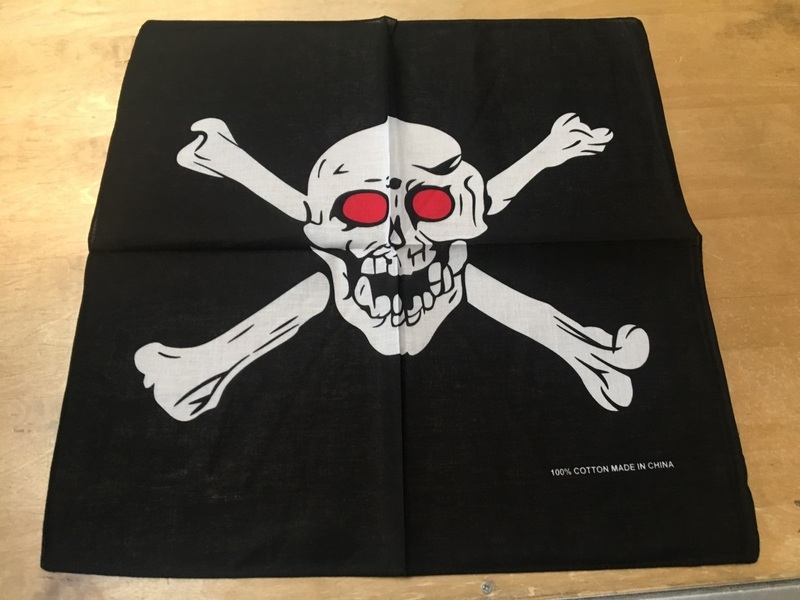 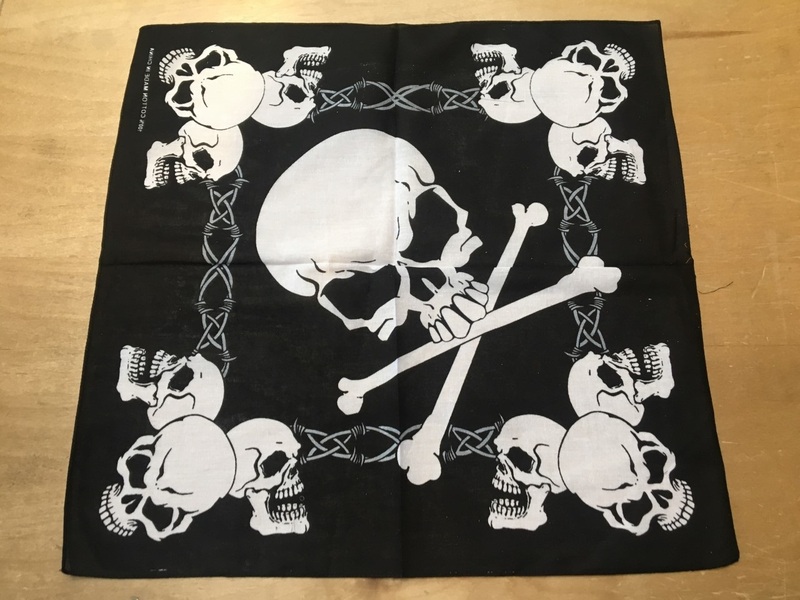 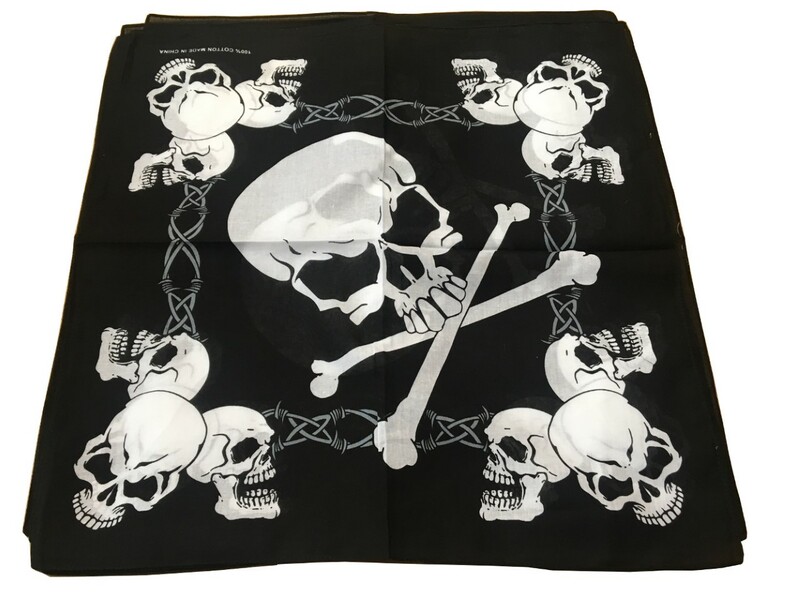 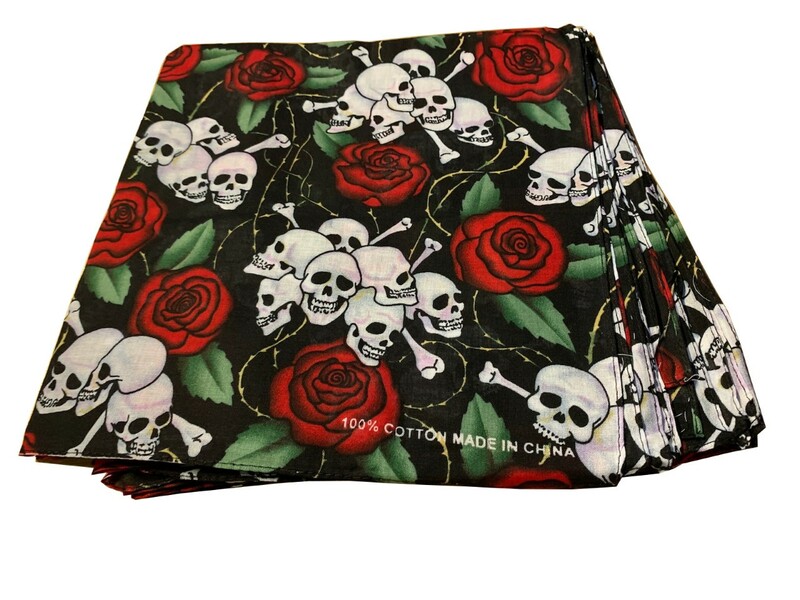 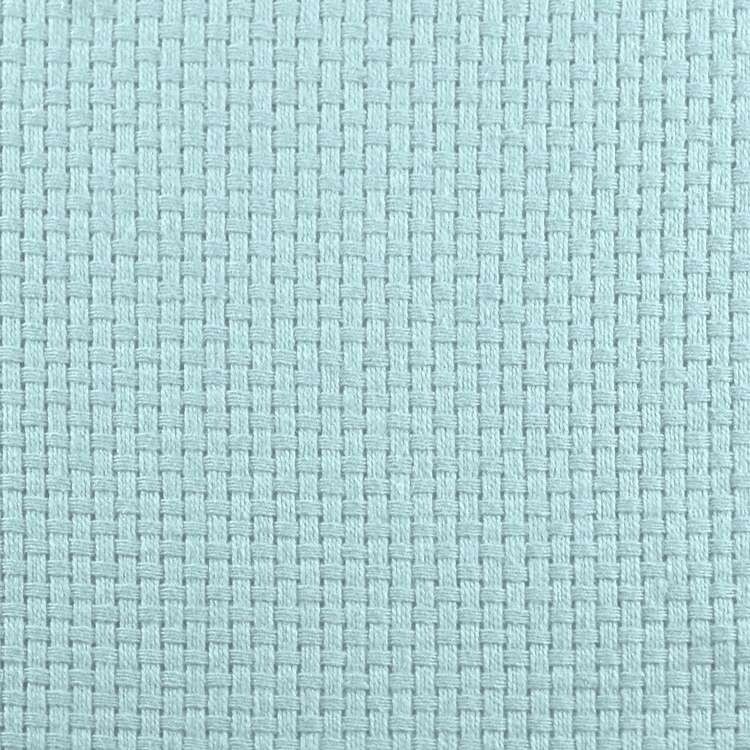 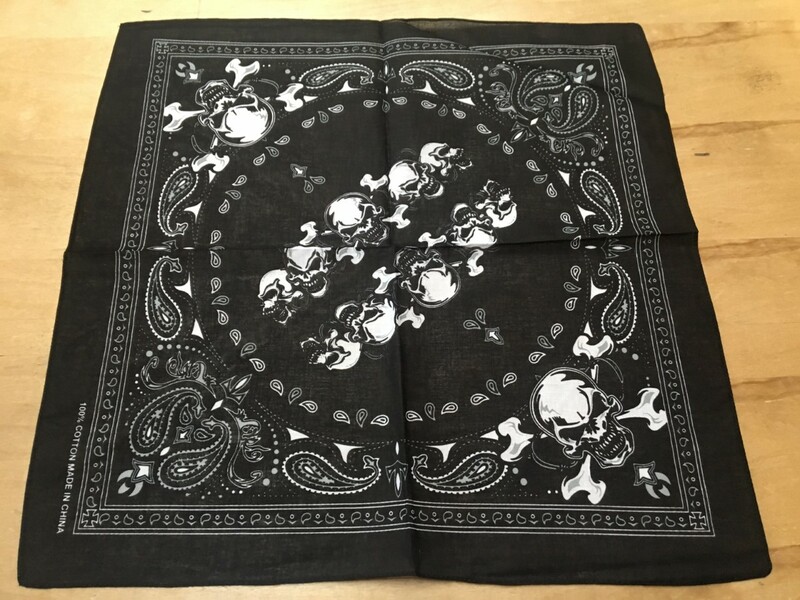 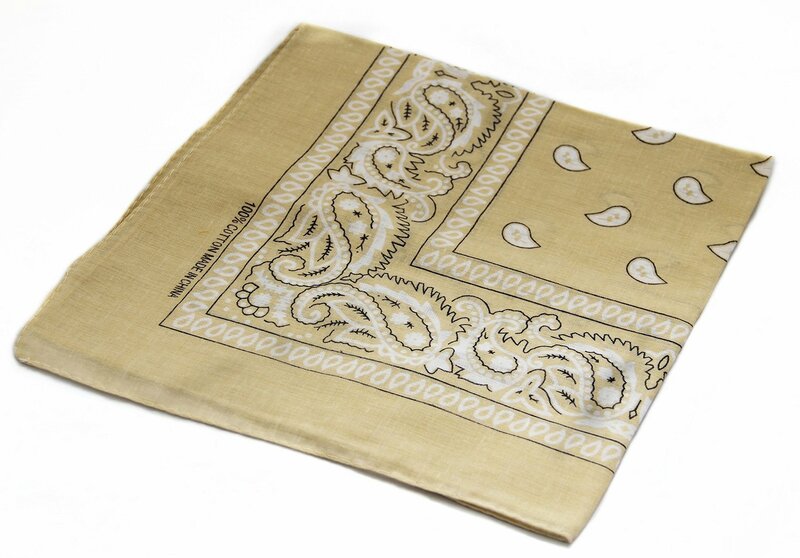 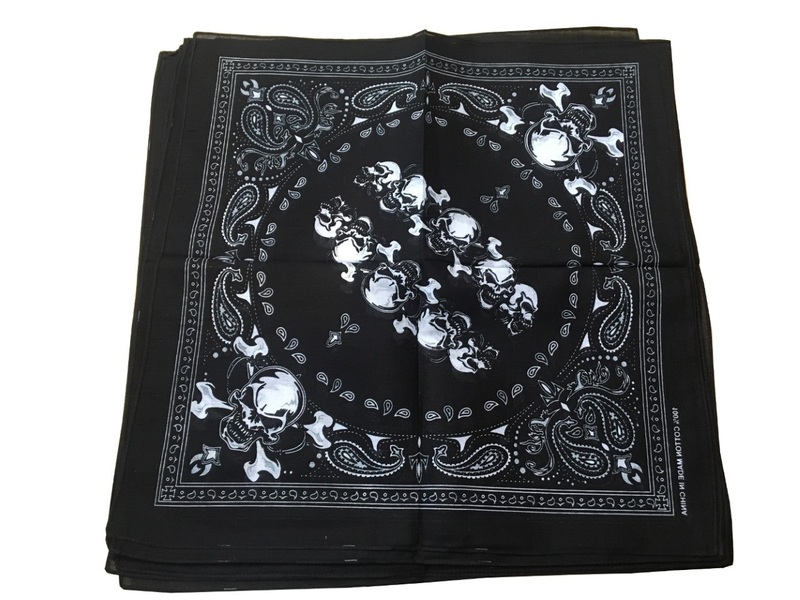 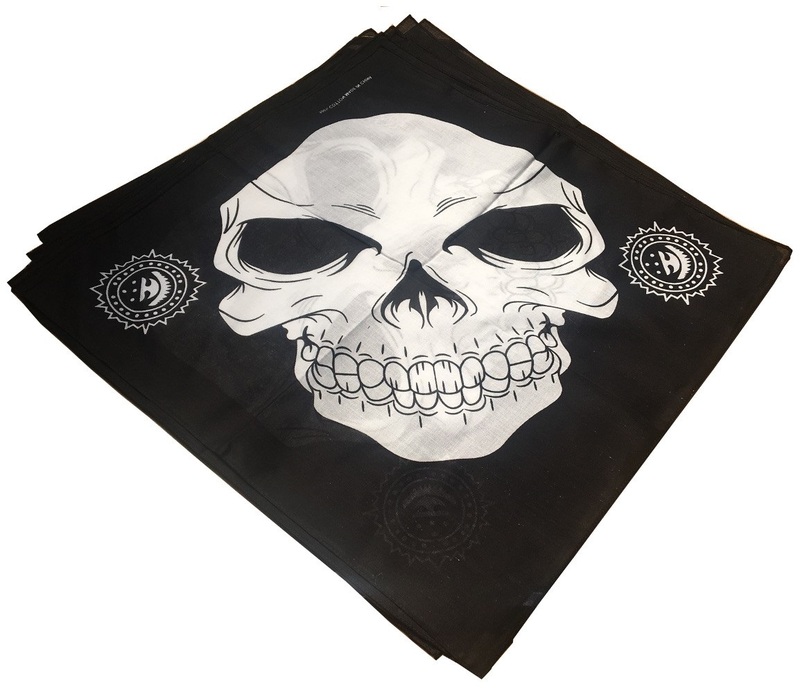 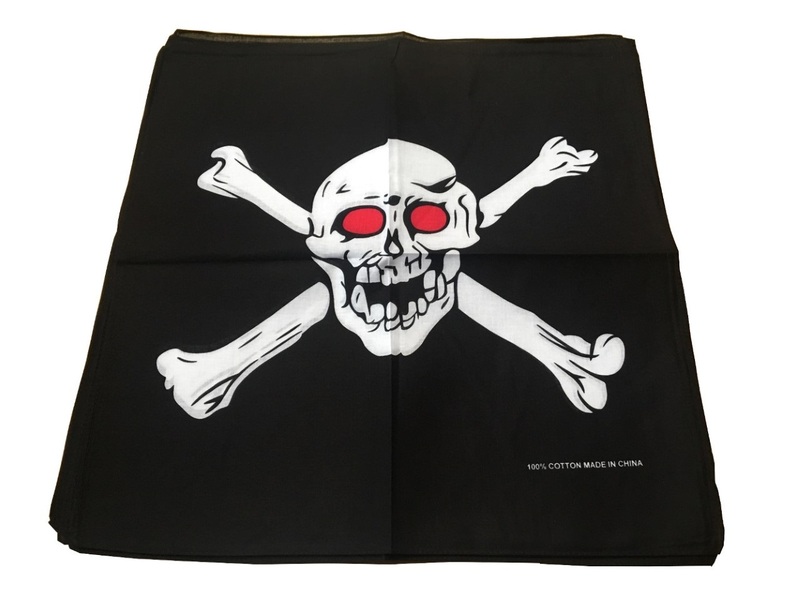 Home | Bandanas | Skull Bandanas 22" x 22"
Skull bandanas consists of a thin 100% cotton and roughly 22"x 22". 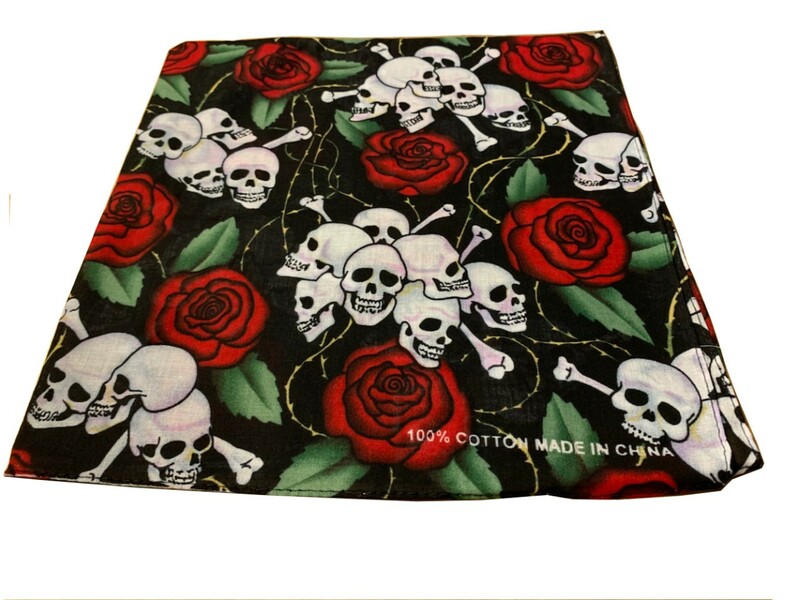 Offered in different skull prints. 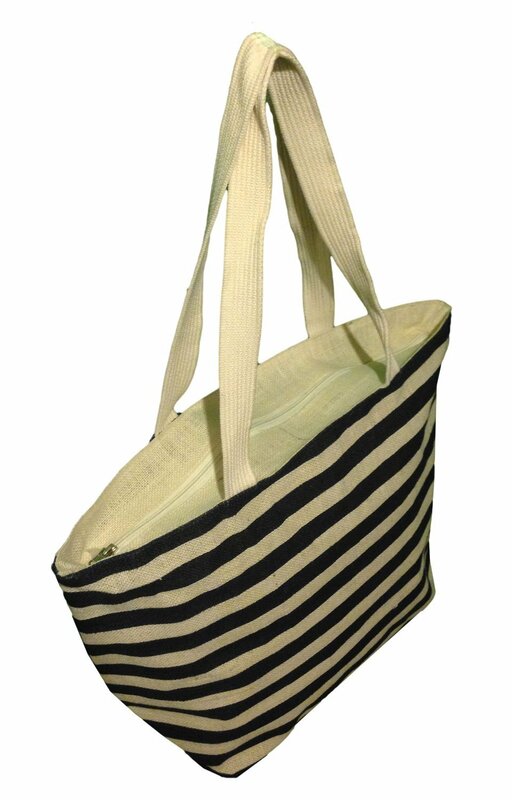 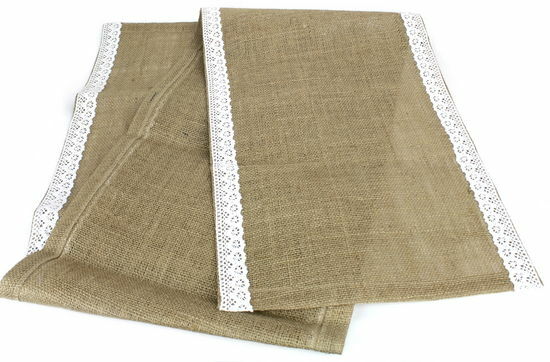 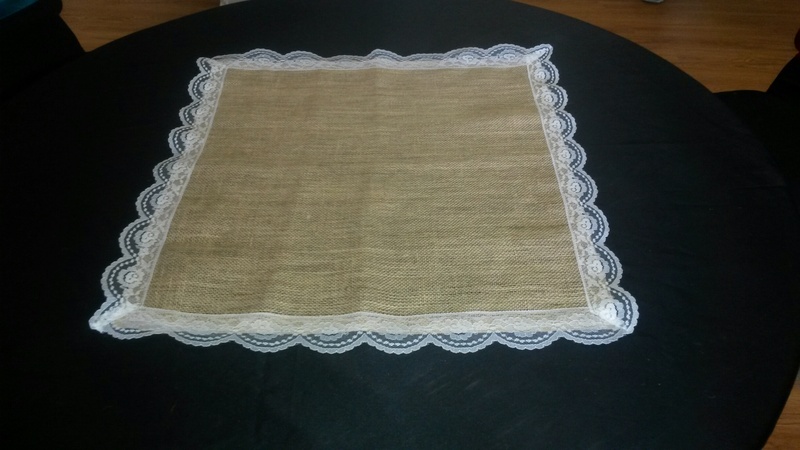 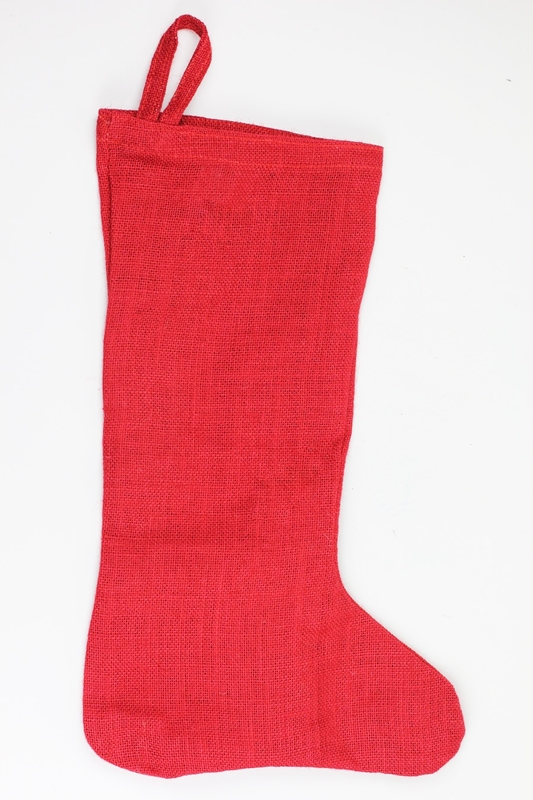 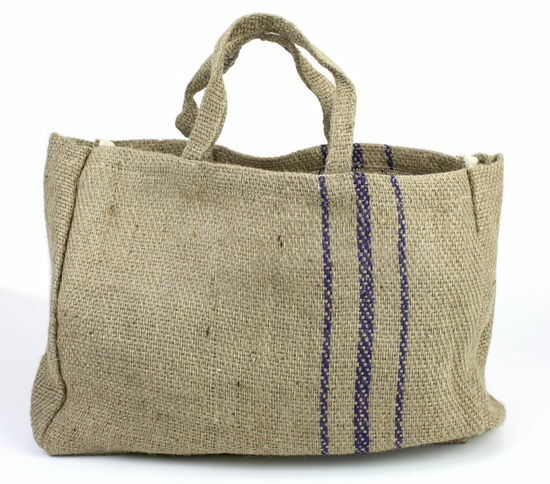 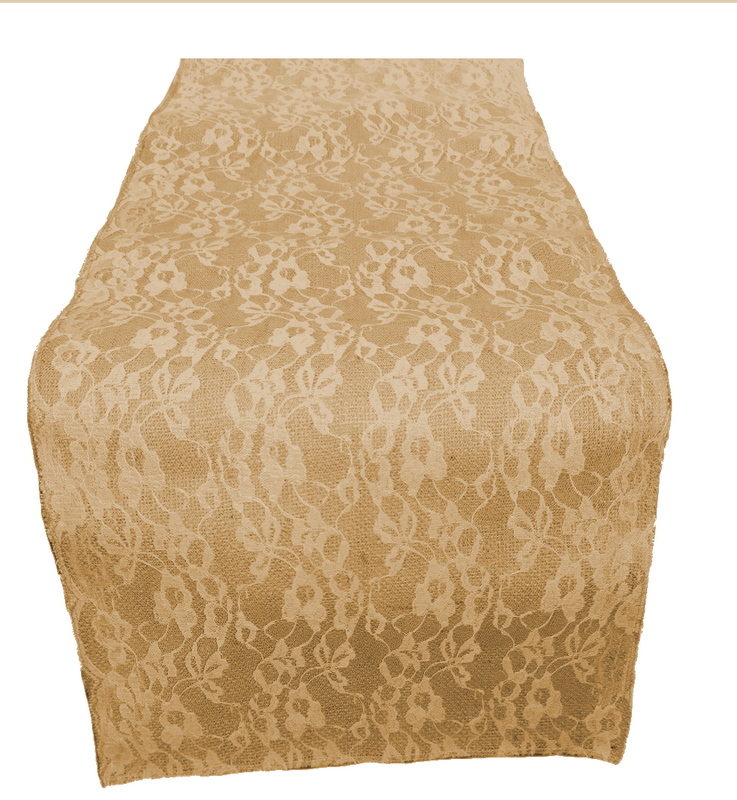 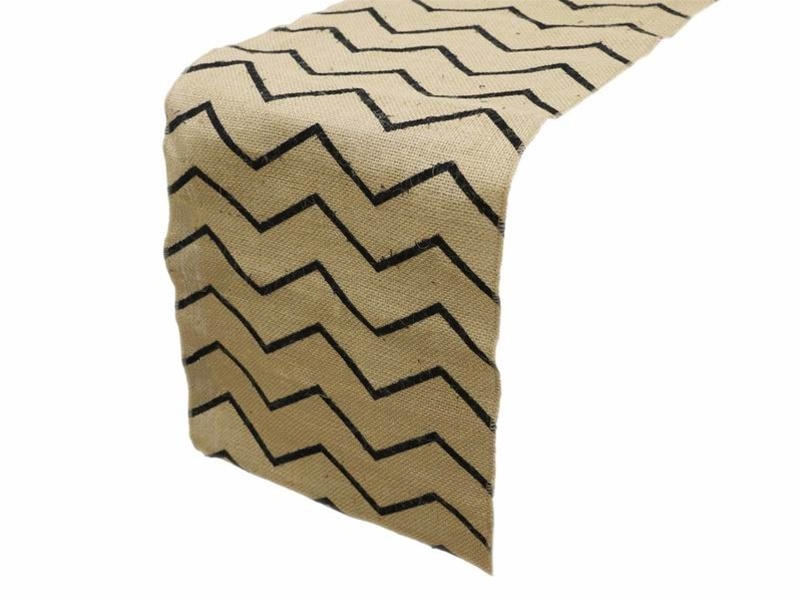 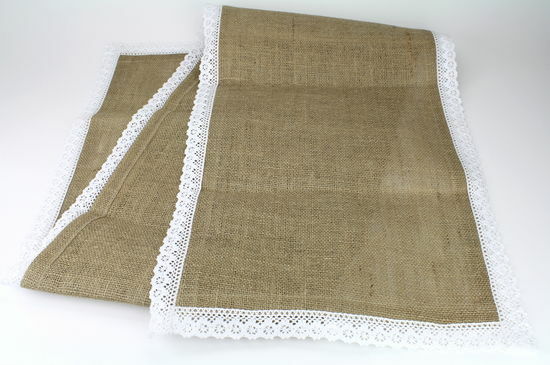 Burlap Beach Bag with Stripes Ivory/Navy 21"x13.5'x5.5"
Chevron Burlap Table Runner - 14" x 108"